What does this mean for the Italian luxury brand? There’s been a major shakeup in the world of luxury fashion. The parent company of Michael Kors is buying Versace, one of the world’s leading luxury brands, for approximately $2.12 billion. As part of the deal, Michael Kors Holdings Limited, the parent company of both Michael Kors and the luxury accessories brand Jimmy Choo, will change its name to Capri Holdings Limited. Meanwhile, Versace will keep its name and designer Donatella Versace will continue to oversee the legendary Italian fashion house. Versace has long been a go-to luxury label for celebrities including Angelina Jolie, Jennifer Lopez and Madonna, to name a few. Michael Kors is best known for its leather handbags and other accessories, and some analysts say this deal will allow Michael Kors to break into an ultrahigh-end market. “By Michael Kors acquiring Versace, this is one way the company can get back into the luxury lane,” retail analyst Hitha Herzog told TODAY. Reactions to the deal were swift and often critical on social media, with some people worrying that the acquisition would dilute the Versace brand. However, Donatella Versace said that the spirit of Versace will not change, and that this move will only help expand the luxury brand's reach. 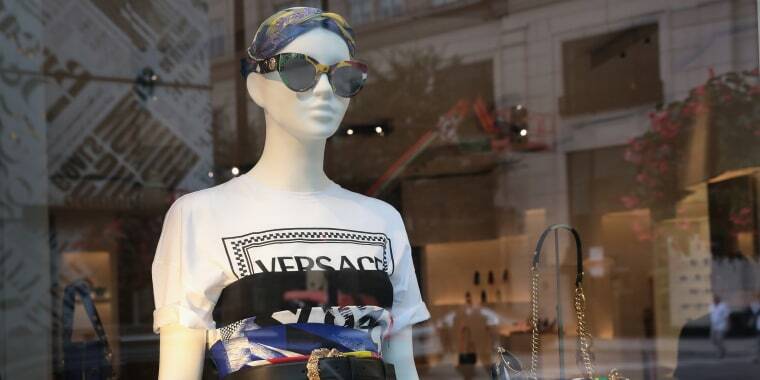 The deal includes plans to expand Versace’s revenues by $2 billion globally, to expand the brand’s men’s and women’s accessories and footwear offerings and to open about 100 new stores around the world. Ultimately, this major shift could make the exclusive Italian label more accessible to shoppers. “I think this just opens up the market for people like us in the United States to be able to wear a brand like Versace,” Herzog said.